Henderson Mill Elementary School principal surprised with award for school literacy project. Mitch Green, principal of Henderson Mill Elementary School, was unsure what to expect when he entered the jam-packed cafeteria at his school the morning of March 28. Waiting for him was Superintendent R. Stephen Green as well teachers, students, and other community leaders who were all in on the surprise. 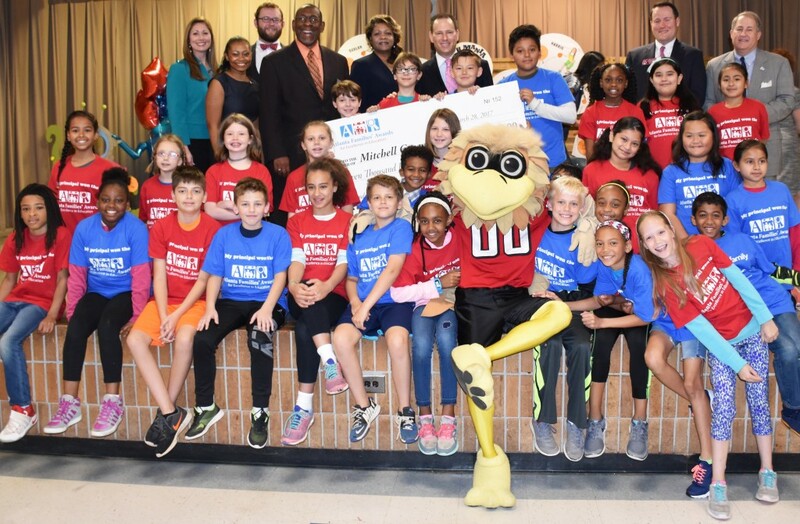 They had gathered, along with other dignitaries, to celebrate Principal Green as a 2017 winner of the Atlanta Families’ Awards for Excellence in Education! The award includes a $7,500 check to support the school’s Leveled Literacy Initiative. This news comes a week after Henderson Mill was named the first STEAM certified school in the state of Georgia. Approximately $3,500 of the prize will go directly to continue to build the initiative. Another $2,500 can be used for Principal Green’s personal use. The remaining $1,500 can be used for a professional development opportunity. The Leveled Literacy Initiative at Henderson Mill Elementary is designed to increase gains in student achievement while positively impacting student self-esteem. During the ceremony, special attention was given to the effectiveness of collaboration within the school and greater community. Principal Green is the only principal among the 2017 cohort of winners. He will be honored, along with other winners, at the 2017 Atlanta Families’ Awards Ceremony on May 3 at the Jimmy Carter Presidential Library and Museum in Atlanta. View photos from the surprise event here.